Most awaiting moments are been specially celebrated once in a year. When it comes to welcome the beginning, words would short fall for the enjoyment that has planned prior to the event. 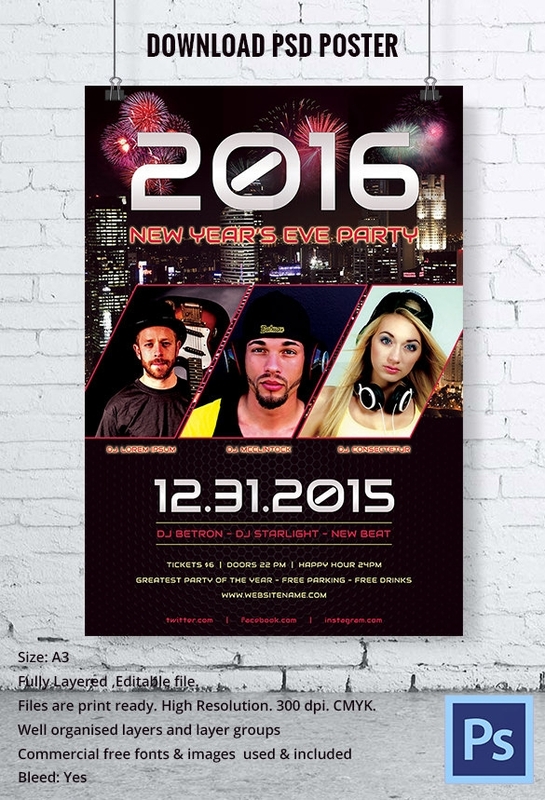 Embellish your upcoming year with our exclusive collection of Free PSD New Year Party Poster Designs from FreeCreatives. 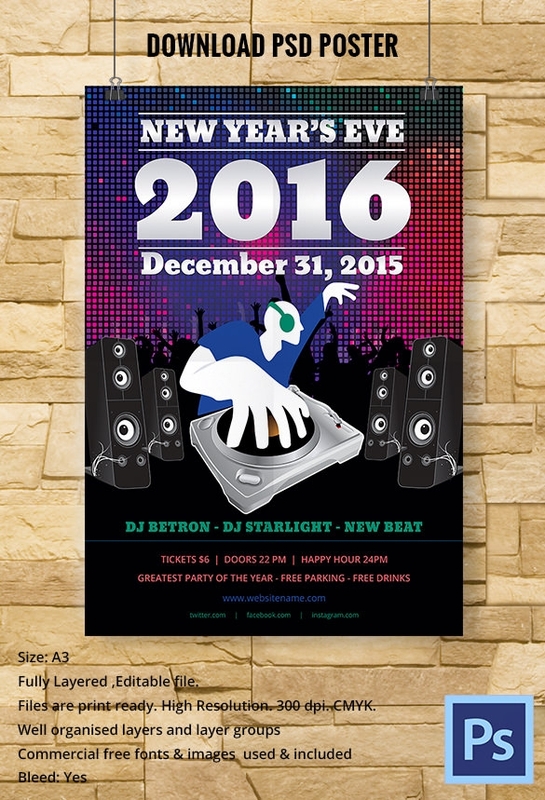 On making note of current trendy cultures, we professionally designed A3 sized print ready templates for New Year’s Eve party. 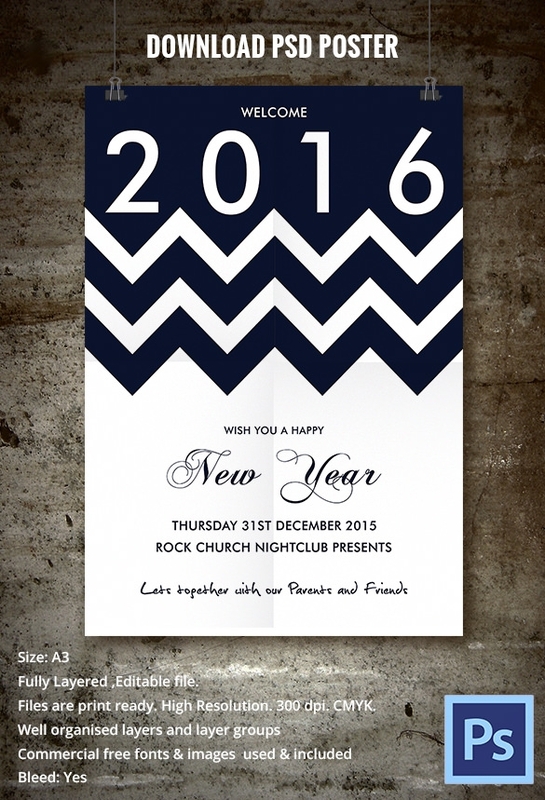 Events are been scheduled in a proper format, included with commercial free fonts and images. Bleed has already included in these documents. So, the user does not require performing any additional modifications before giving the print. These are the free downloadable fully editable photoshop documents, which can flexibly allow the user to replace their respective artwork by simply clicking on smart objects and smart layers in a short time elapse. 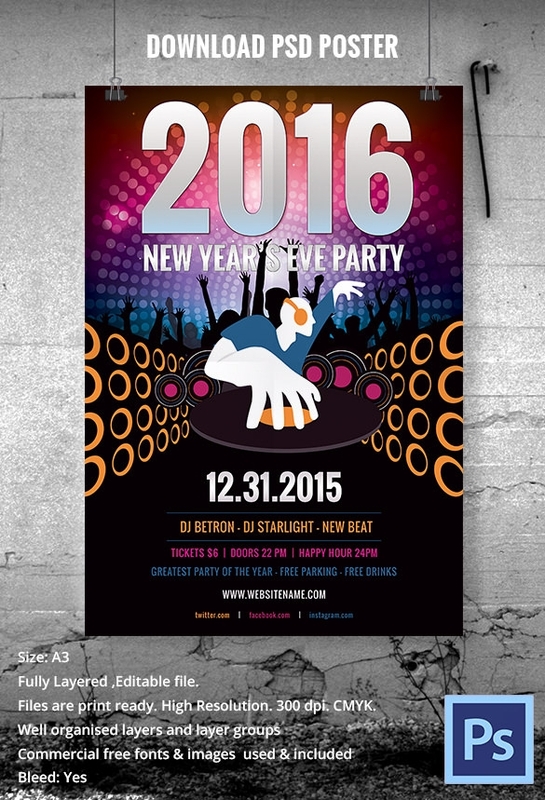 We placed silhouettes and abstract elements as backgrounds, to detail the party elements in a realistic way. Every design is been provided with venue details, ticket price and combos of beverages stuff, in attracting the audience, to hop inside the venue. 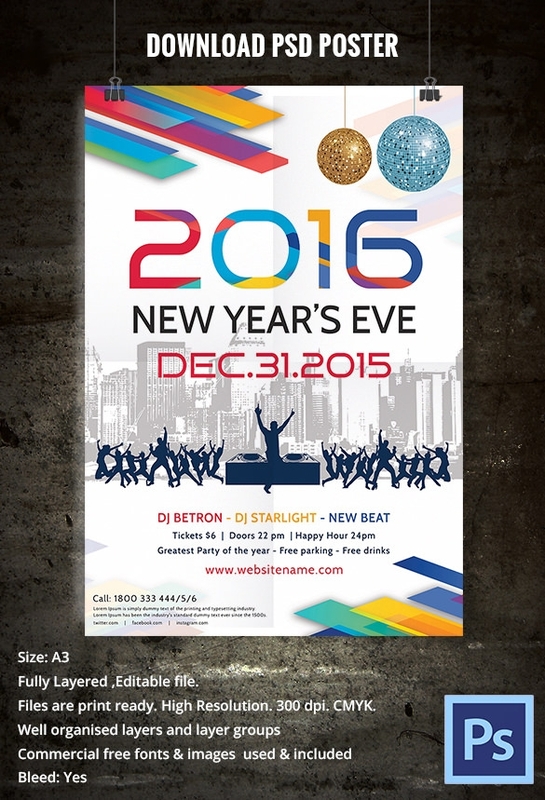 Here, you can find high resolution large dimensioned designs with various party themes like disco, dance floor to invite the audience for sharing every step in welcoming next date, musical night to chorus performers of the night until the clock ticks 12 , youth festival with unlimited entertainment and family get together, to allure the audience in the best possible manner. These freebies are been well organized with layers and layer groups with perfect color contrasts that can impress your viewer in a glance.